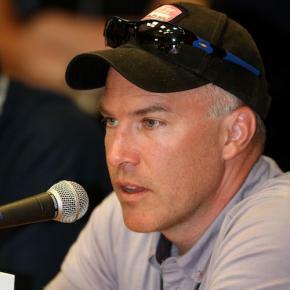 Today we have an interview with WTC's CEO Andrew Messick where he announces exclusive news about Ironman Kona. It was a big day yesterday as we were out there right from the start getting interviews with both age groupers and pro athletes. We managed to catch up with just about all of the top pros post race. They gave great insight into their races. We hope you enjoy the show. Make sure you spread the word by retweeting or posting about on facebook or your favorite forums. Donating Listeners, Endurance Sport Travel, O2Creation, Lava Java, Audio-Technica and our regular sponsors,Coffees of Hawaii, Extreme Endurance and Athlinks.com.